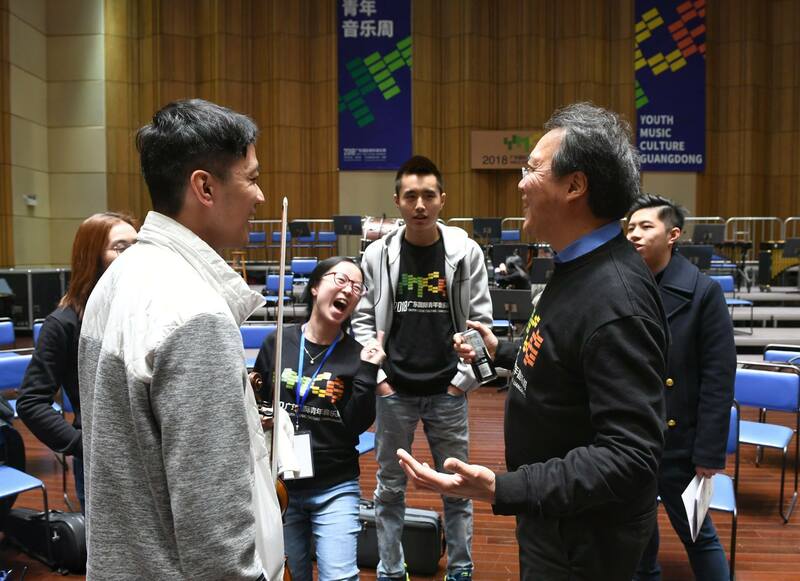 Yo-Yo Ma returns to Youth Music Culture Guangdong (YMCG) as artistic director in January 2019, joining faculty and participants dedicated not only to sharing music but also to fostering creativity and flexibility. In nine days of orchestral rehearsals, coaching sessions, masterclasses, and conversations, the musicians will explore how culture helps us to connect and to imagine a better future. YMCG assembles a group of musicians under the age of 35 for teaching sessions and public performances led by artists from around the world, musicians who play and teach with Silkroad, Brooklyn Rider, the Curtis Institute of Music, and more. The annual event is presented by the Guangdong Provincial Department of Culture, organized by the Guangzhou Symphony Orchestra and Xinghai Concert Hall, and is led by Artistic Director Yo-Yo Ma, Artistic Committee Chairman Long Yu, and Music Director Michael Stern.